I used Diet Doc as the provider for my most recent round (summer 2017). I offered to write a review since this company didn’t yet have much buzz in the Hcg Diet Info Forums. This is a walk through of my experience with them and my thoughts on their product and customer service. My round was not without some challenges, and I found I was very glad to have a doctor on call to deal with the issues that came up. The first thing I noticed is that their HCG ordering page is not located on the main Diet Doc website, which could be a little disconcerting until you understand why. 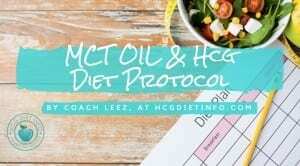 Diet Doc has their HCG ordering information and support on their sister site: mydietdoc.com. I now understand this has something to do with search engine rankings, so don’t let that concern you. The order page is easily accessible if you use the link from this site, and doing so will also ensure you get the HDI site discount. The first thing I noticed is that there is no brand of HCG advertised. This is because Diet Doc has your HCG compounded for you from highly reputable pharmacies in various US locations. It hasn’t been sitting on some manufacturer’s shelf for some indeterminate time. They also require the product to test for greater than 100% potency. I liked that, because even if the product degrades at some point, its likely not to degrade to under 100% for a very long time. The injectable HCG comes mixed with theanine, which is known to be calming and can improve sleep. Having had bad sleep for a decade, this definitely interested me. Apparently the added theanine can also decrease triglycerides, which is a number that can rise after a course of HCG. They take all major credit cards, so there is none of that playing around you have to do with e-checks or wiring money like some other suppliers require. They also allow health insurance account payments and will provide paperwork for you to submit to your insurance company for covered items. 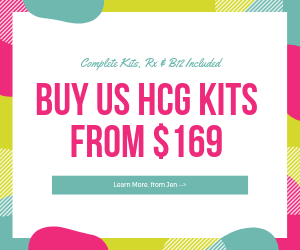 The HCG comes as a kit with all the supplies you need: insulin needles, mixing syringe, 30ml bacteriostatic water and even alcohol swabs. I decided to try the lipo injections, and see if my weight loss patterns are any different with it included. The doctor decides, based on medical history and status what the optimum dose should be. I will wait and see what he says, but if its more than 125iu, I’m likely to ignore it and go with what I know works for me . Apparently dose instructions can range from 115-200+iu. I spent most of an afternoon researching the site, placing the order, and setting up the video doctor visit appointment needed for the order to be processed. [Note: The video chats have now been replaced by a phone call from one of their doctors.] You are able to schedule a phone appointment the same day as they have available slots every day of the week, and a choice of several prescribing doctors, but I opted for a time slot the next evening. It was supposed to be about a 10 minute visit. The visit was pleasant and it was evident the doctor had reviewed my medical history and had some suggestions for me as he made the explanation of the program he thought would work for me. He suggested a dose of 150iu based on my height, weight and age, but prescribed 125iu because that was my last round dose. I thought it was a most reasonable suggestion considering many other companies/clinics want to start you out at 200iu or higher. Diet Doc’s method of dealing with hunger is to increase dose, which is generally contrary to what we see in the forums when dose adjustments are indicated. Since I now know how to adjust dose due to the excellent tutelage available in our Hcg Diet forums, this was not an issue for me. I was impressed that the doctor went with my dose suggestion based on my prior dosing history, and with the care that was taken to address any concerns related to my particular medical factors. I’m starting this round wanting to lose about 15 pounds to get back to my goal weight. 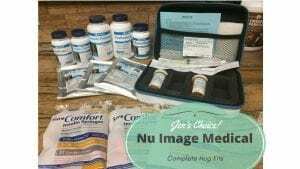 I was approved for the Hcg and Lipotropic prescriptions. I then asked about smaller size HCG vials so that I could mix fresher batches, and he said he was able to prescribe in a smaller vial size. I was to get 3 vials of HCG instead of the normal two 5000iu ones. The package contained my product, injection kit, and a bottle of lipotropic capsules. When I called to let them know I had ordered lipotropic injections, they immediately overnighted those to me to correct the error. I was impressed that I did not have to return the capsules. As it turns out, the shipping mistake was to work in my favor in a couple of days. In my appointment with the licensed nutritionist assigned to me, I was given a personalized calorie limit and list of instructions based on my age, current weight, and activity level. They recommended 640 calories a day for me in particular, with no more than 30 net carbs from a food list that expanded on the protocol menus. 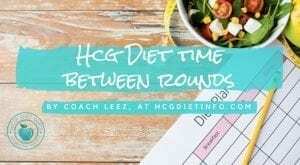 Their suggested method seems to have similarities to the HCG 2.0 variation, in that your calories are individually calculated and the diet is intended to get you into ketosis. 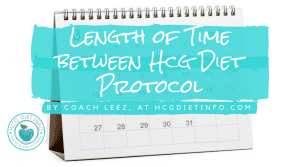 I said that I would be following the 500 calorie diet menu in the original Hcg weight loss protocol, as I know that works for me. The nutritionist gave some reasons for why they recommend the changes, but did not try to convince me away from my decision. I did find the arguments on the helpfulness of some extra protein reasonable, so I decided I would try adding some bone broth, but still stay near the 500 calorie limit. I used the Imagine brand of chicken bone broth, which has 40 calories and 9 grams protein per cup and is fat-free. It turned out to be a good decision, or at the very least, it didn’t hurt anything. It had been two years since I did a round, so granted, I’m a little rusty on injection technique. However, the first injection was pretty painful, left a hole and an inflamed area around the injection site for the rest of the day. 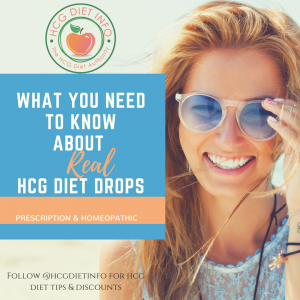 A call to my Diet Doc physician resulted in not only in new needles sent to me, but he also ordered and overnighted a new bottle of HCG without theanine just in case the site reaction was from the theanine in the HCG. I thought that was really good customer service. When I examined the other needles in the first pack I found others with hooks or burrs on the tips. I apparently just got a bad batch of needles. The site reaction was purely from needle trauma because the following injections using the new brand of needles proceeded without incident. A couple hours after the first injection, I got the familiar floaty feeling and appetite drop that happens to me that first loading day on every round. 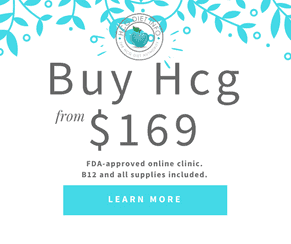 So that confirmed to me that this HCG is good and potent. I lost a pound after 2 days of loading! This is something that I hadn’t experienced in any of my rounds on the Hcg Diet Plan, so already I’m impressed. Today starts my lipo injections. I used a new brand of needle, but upon injection I had an immediate reaction to the lipo. There was a hard lump at the injection site, surrounded by a 2 inch diameter red area that was hot and inflamed through the rest of the day, and worsened by evening. I also started to get a scratchy throat, which I recognized as an allergic reaction. I took a Benedryl and scheduled a Dr. consult for the next day. Apparently, if you are allergic to sulfa drugs, the methionine in the lipotropics can be a problem. This was a question covered in the doctor consult. However, I was unaware I had a sulfa allergy. I now need to avoid that class of drugs because of the slight anaphalactic reaction I had to the lipo injection. I emailed a picture of the site reaction, and the Dr. agreed my reactions could be allergic. He recommended discontinuing the lipo injections to be safe. He said there would be no issue with taking lipotropics orally. I already had the bottle of capsules that had been sent with my initial delivery, so I was all set and was able to start the next day. I asked if I could empty the capsules into water, because I didn’t want to ingest the dye in the bright orange gel caps. The Dr. had another bottle with clear capsules sent out to me. I really appreciate that they are willing to customize your orders for you. You just have to remember to ask! This is the most net weight I’ve ever lost in the first week. Is it the lipo? Hard to say. I haven’t experienced any other benefit I can discern. The rest of the round continued fairly normally, and I had no problematic hunger issues. I did make a downward dose adjustment partway through the round when my skip day indicated it. By the end of the third week, I was down 11 pounds. By 30 days, I was very close to my goal and decided to end the round. I had expected to have to go longer, so this was a happy decision. I was satisfied to end at 136 pounds, one pound over my goal weight which is recorded on my drivers license. I’m almost an honest woman! No one but me and the scale can see the difference between Leez at 136 and Leez at 135, so the pound difference is trivial. I think I look amazing. This has been a very good round for me. I lost nearly 3 pounds more than in my other 30 day round. Physically, its been very peaceful with no hunger issues, better sleep than any of my other rounds, and no elimination problems this time. I attribute the difference in improved sleep to theanine compounded with my HCG, and my evening cup of bone broth. Did the lipotropic capsules help, I hear you ask? I didn’t notice any particular boost in my energy levels. Its hard to say if they were responsible for the extra 3+ pounds I lost this time. In comparison with my only other 30 day round, I had a 4 pound load on the first one, and a 1 pound loss from load on this one. So its just as possible that difference in load is responsible. But that load difference meant I lost 13.6 net pounds compared to 10.4 net pounds for the round without lipotropics. I would have to say that weighing everything, I think it helped increase the loss. The write up claims it can increase weight loss 2-4 pounds per week. For me, that worked out to about ¾ pound more loss per week. Even though I had some problems along the way, Diet Doc was there every time and quickly responded above and beyond my expectations. They were very proactive about keeping contact with me through the process, and I was encouraged to call them any time with questions or concerns. Through the coming year, I can continue to consult with my nutritionist and doctor should I need to as part of the package that was purchased. I would not hesitate to use this company again as an HCG supplier. All the best to any of you starting soon on your own HCG journey! 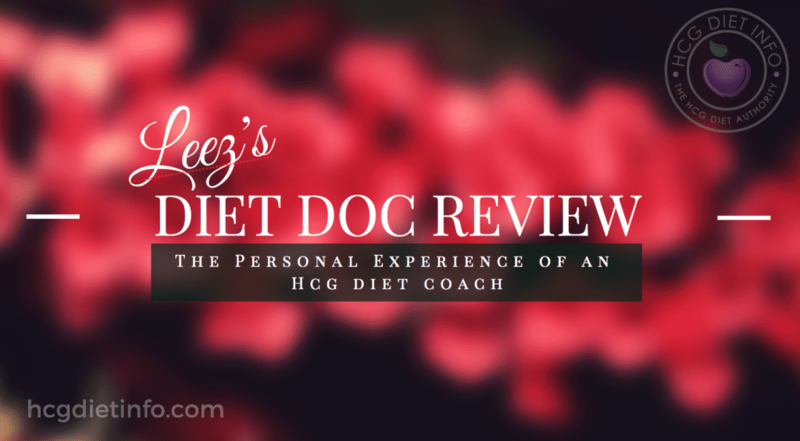 If you plan to order HCG from DietDoc, please consider using my Diet Doc link. I receive a small commission for each purchase using this link. (All Hcg Diet Info discounts and coupons apply.) 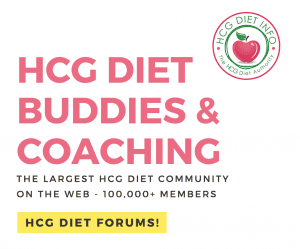 I consider it an unexpected thank you for the past several years I have spent volunteering my help in the Hcg Diet forums as a coach and mentor. If you have any questions about my experience with Diet Doc, please ask. I’m happy to talk with you about it and answer any questions you may have.